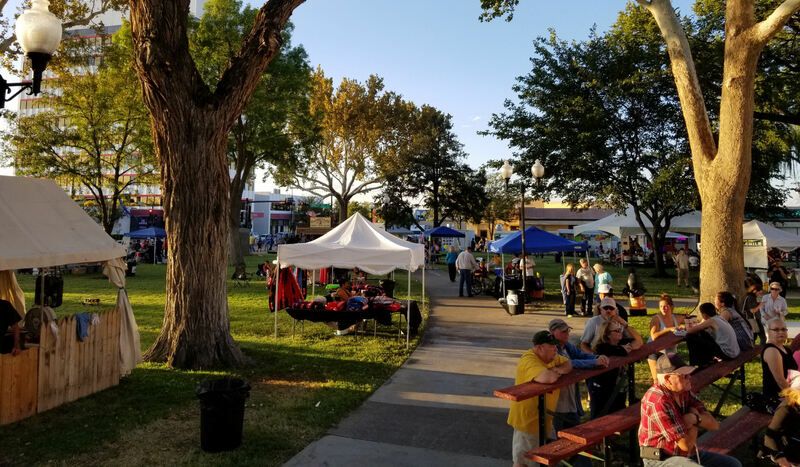 Susan Wink and the Roswell Interarts Organization (RIO) have been diligently working on creating an art space in Reischman Park from a Main Street New Mexico grant. Sue and Terry Rhodes, with the help of Ferrall Clem, designed the park at 308 N. Main St. with inspiration from historic Roswell photos. It is coming along beautifully and we encourage you to check it out next time you are downtown. Residents and visitors to Roswell worked hundreds of hours creating custom tiles for the park and we can’t wait to see them finished!